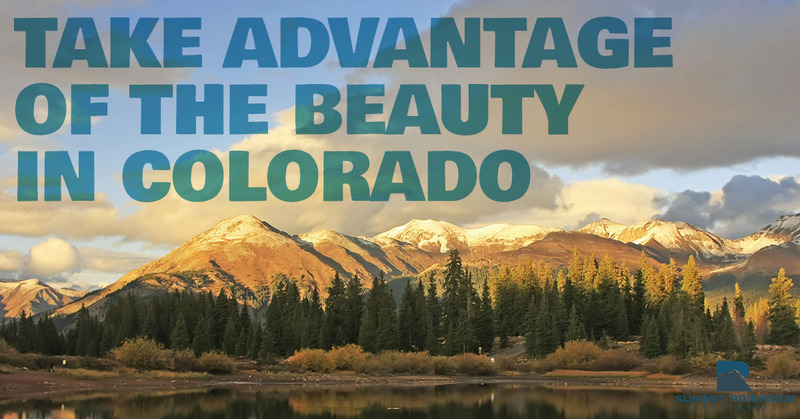 If you’re moving to Colorado from out of state, there’s a good chance that you’ve heard all about how beautiful it is in our neck of the woods. Indeed, the Centennial State is known for having some truly breathtaking views and there’s no doubt that there’s plenty to do no matter what type of fun you prefer to have. Of course, when you move here, you’ll want a cozy place to lay your head. The good news is that at Summit Riverside Apartments, we have the 1- and 2-bedroom apartments you’re looking for. This part of the country is a wonderful place to live, so if you’re looking for apartments for rent in Littleton because you’re moving here, there are plenty of reasons to choose us from our great amenities and cozy apartment spaces to our friendly pet policy and friendly neighborhood. Once you finally arrive, you’ll probably want to get the lay of the land. If that’s the case, then today’s post is for you because we’ll be sharing a few of our favorite things to do in the great state of Colorado. Keep reading to learn more! Your Apartment Search is Over. It’s Time to Explore! Looking for a way to ease yourself into the state to get a feel for how people act in Colorado? There’s no better way to do that than by heading to a Rockies game. “Wait, aren’t they terrible?” you might find yourself asking. To tell you the truth, it depends on the year. As luck would have it, the Rockies are off to a pretty good start this year. They currently hold a 17-15 record as of the time of this writing and they’re sitting at 2nd in the National League West. The really great news is that win or lose, it’s a blast to visit Coors Field. Whether you’re a baseball fan or not, you’ll find plenty to love in the park. There are a number of great restaurants to enjoy, but if you want an authentic experience, make your way over to the Number 17 Burger Shack and grab a Helton Burger. It’s on the left field concourse and it’s pretty hard to miss because it’s a ballpark favorite in the Mile High City. If you want to get out of the city and do a bit of exploring, Estes Park is hard to beat. No matter what you like to do, you’ll find that there’s plenty of fun to be had in Estes. Located about an hour and a half away from Littleton, it’s pretty easy to make a day trip. Just hop on I-25, take that to US-36 West and follow the signs until you arrive in this quaint town. Are you a Stephen King fan? Head to the Stanley Hotel, which served as the inspiration for King’s creation, the Overlook Hotel, in his fan-favorite novel The Shining. Want to do some fishing? There are a number of guided fishing tours to enjoy. Prefer to do some hiking? Rocky Mountain National Park is hard to beat. Whatever you choose to do in Estes Park, you’re sure to have a blast. What’s in Fort Collins, you ask? A college town located about an hour and fifteen minutes north of Littleton, Fort Collins is quickly growing into a go-to destination in Colorado. It all starts with the restaurants. Whether you visit Big Al’s Burgers and Dogs, Music City Hot Chicken, or Cafe Mexicali, Fort Collins is becoming known for its food scene. It’s also something of a hotspot for local microbreweries. Colorado is already known for being a great place to visit for people who love beer, but there are around 20 breweries in Fort Collins and more in close proximity if that’s not enough for you. After you’ve had your fill of food and drink, head on over to Horsetooth Reservoir to have a bit of fun in the sun. As the Larimer County website notes, you’ll enjoy “six and one-half miles of water” that is “surrounded by 1,900 acres of public lands.” It doesn’t get much better than that. As fun as it is to get out and explore the state that you live in, it’s always nice to come home and lay your head down on a comfy pillow and enjoy a space that’s all your own. At Summit Riverside Apartments, we are proud to offer luxury apartments for rent in Littleton. We strive to offer the best apartments in the whole state, so if you’ve chosen to make a life for yourself in Littleton, we have a great selection of floor plans to choose from that suit your unique needs. Reach out today to request a tour. We look forward to hearing from you!